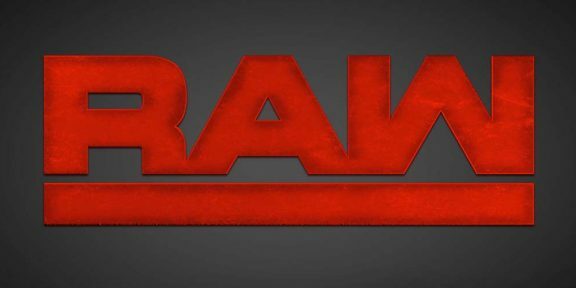 It the rare leap year, with today being February 29th, so does that mean we’ll get an excellent Raw overall? Last week’s shows were pretty-good, but still had some flaws. The biggest surprise of course was the return of Shane McMahon and the announcement that he will wrestle The Undertaker at WrestleMania for control of WWE! “The Deadman” is in the capital of Country Music tonight and should be responding to Mr. McMahon’s using of him to deal with Junior. Also, WWE World Heavyweight Champion Triple H beat the heck out of his challenger, Roman Reigns, on last week’s Raw, then gave him a verbal message too on Smackdown! Will Roman be able to retort, either orally or physically tonight? Becky will wrestle Sasha Banks to determine who matches against Divas Champion Charlotte for the title at WrestleMania! The road to WrestleMania continues with more matches and storylines being lined up for the show; as well, who will be the next person(s) to be inducted into the Hall of Fame Class of 2016? All this and much more, so read on! A recap of Triple H’s assault on Roman Reigns is shown, then the regular Raw video plays and the pyro goes off in the arena. WWE World Heavyweight Champion Triple H, this time donned back in his suit, saunters out. He says that few people have “authority” and many don’t, so they have to follow it, and are scared to stand up for themselves because of what the “authority” could do. “The Game” says Roman is/was in the same situation. Dean Ambrose interrupts and they mock each other at first, then challenges him for the WWE World Heavyweight Championship because he thinks Triple H knows he can’t beat Ambrose. HHH tells Dean that he’ll let him know by the end of the show, and in the meantime, Ambrose will be taking on Alberto Del Rio later! Also, Stephanie and Vince will be in town to give their thoughts on the situation from last week involving their other relative, Shane. They tangle, trying to one-up each other at first. The fans are elated for both competitors as they keep on trading pin and finish holds. Sasha capitalizes on Lynch with a knee between the ropes, the runs her into the ring post. Banks and Becky still go back-and-forth, with neither gaining a big advantage. Lynch dives off the top turnbuckle with a front-dropkick and almost gets it; she elbows out of the corner, then repeatedly headbutts her. Sasha goes for a sunset flip but they both collapse and referee Mike Chioda counts to three with both wrestlers having their shoulders on the mat. The referee officially declares this a draw. Dolph waistlocks Miz down, dropkicks, and splashes him in the corner. He whips Miz into the corner, but Miz reverses and rolls him up for the sudden 1 – 2 – 3! Later, A.J. Styles and Chris Jericho meet Tag-Team Champions The New Day! A montage of the history of Vince and Shane McMahon airs. Stephanie McMahon is shown walking through the halls and will be out next to talk about her reception of the Vincent J. McMahon “Legacy of Excellence” award. Stephanie McMahon walks to the ring and gives a prepared talk. She starts with one line, then pauses and holds the trophy. She is not pleased with fans who only want to have her brother out there. McMahon becomes enraged at her sibling’s position and lashes out, knocking over the table that held the award. She also rips on the crowd. Cara and Sheamus begin with Sin flipping over Sheamus a couple times before he gets caught in the Irish Curse Backbreaker. Rusev throws Cara into the corner of the barricade, then works him over the in the ring. Sheamus tags in and pounds away on Cara, then gives him a big powerslam. Sin counters in the corner with double-knees and a Tornado-DDT, and manages the hot-tag to Kalisto. He springboards in onto Rusev a couple times, then almost gets this after the hurricanrana-facebuster. All four take each other out and Rusev finishes this with a big kick to Kalisto! Ryback tosses Rose around and shoves him down, but is given a jawbreaker with the top rope. Adam runs into a shoulder-tackle, but forearms and kicks back. He locks on a sleeper, but “The Big Guy” drops him and mount-punches quickly and viciously, then He slams him with The Shellshock for the victory! Recall of Lesnar and Ambrose’s confrontation from last week on Raw is broadcast. Tag-Team Champions The New Day dance to the ring and will be wrestling A.J. and Jericho, next! Prior to the contest, the champs cut a promo about being a legit brotherhood and not a “fake” one like Styles and Jericho. Jericho and Kingston start, with “Y2J” getting the better then switching with “The Phenomenal One.” They double-team both Kofi and Big, then slingshot over the top rope to Langston and Kingston with planchas! New Day are now dominating, giving Styles multiple stomps in the corner as Xavier yells form the outside. A.J. fights back with the Pele Kick and makes the hot-tag to Jericho. “Y2J” is all over Kingston until Big E. tries to break it up, but Styles soars back into the ring with the springboard-forearm! Kofi attempts a Trouble In Paradise Spin-kick, but Jericho catches his leg and traps him in the Walls of Jericho, forcing Kofi to give in! Post-match, “Y2-A.J.” (as they are calling themselves again) issue a challenge to The New Day to wrestle for the Tag Titles next week on Raw! Up next, The Undertaker will be out! Lillian Garcia announces Mr. McMahon, who struts out and is dissatisfied with the reaction he received. A “lack-there-of” one. He then brings out the man he selected to take on Shane at WrestleMania, “The Phenom,” The Undertaker. Clutching Vince’s throat, ‘Taker warns him sternly. “You know what’s going to happen when I close that door at WrestleMania. You know what I do. The blood of your son is going to be on your hands, not mine.” He walks away as Mr. McMahon declares that Shane is no longer his. Jey is aggressive at first with kicks and uppercuts, but Bubba hits back with a clothesline. Uso fights back with more uppercuts, then gives Bubba a smacking superkick! He lines up in the corner, but D-Von distracts him with a table, chucking it into his brother. This allows Ray to get back together and give Jey a Full-Nelson Bomb for the 1 – 2 – 3! R-Truth is getting ready when Goldust startles him. Truth has had enough and is not going to be a partner for Goldust, win or lose. “The Bizarre One” is upset and walks away. Show dominates until Owens wiggles out of a slam attempt and pushes Big into the ring post. He climbs back in the ring as referee Chioda counts. Owens gives Show a Tornado-DDT from the ring apron to the floor and goes back in again, trying to get the count. Big is up and gets a senton-splash for two, but is caught by the throat on the top turnbuckle and crotched on the top rope. Kevin tumbles to the floor and does not make it back in! Rene Young interviews Brie Bella about her emotions after losing against Divas Champion Charlotte at Fastlane. She pumps herself up until a returning Lana walks in. She compares herself and Rusev to Brie and Bryan, insinuating their superiority over Bella and Daniel. Brie shoots back with a couple of verbal-jabs at Lana about her lack of in-ring competition and Rusev’s hairiness then walks away. Brie and Naomi start evenly until Tamina distracts Brie enough. Naomi capitalizes for a while, and grapples her in a crucifix-hold, making Brie tap! Post-match, Lana walks out and claps mockingly. It is announced that The Freebirds – Michael “P.S.” Hayes, the late Terry “Bam Bam” Gordy, the late Buddy Roberts, and Jimmy “Jam” Garvin – will be inducted into the Hall of Fame this year! Becky Lynch and Sasha Banks are having a friendly debate on who would’ve really won that match when Divas Champion Charlotte walks up with her father, Ric Flair. She tells them that they can try again this week on Smackdown!, then laughs at how they were acting and walks away. Dean Ambrose makes his entrance for his match with Alberto Del Rio, next! It is all Del Rio until Ambrose gets a little upperhand. Just as he makes a comeback, Triple H’s music his and he walks out. The Nations attack Ambrose from behind, and “The Game” gives Dean a Pedigree. He tells him that he’s got his match for the WWE World Heavyweight Championship! As the C.O.O. walks away, “The Lunatic Fringe” says “thanks” into the microphone; this infuriates the WWE World Heavyweight Champion and he demolishes Ambrose almost like Reigns last week until referees ward him away to close the show.